The Los Angeles Times' Deborah Netburn just wrote a really nice retrospective; ‘OK. Let’s do it!’ An oral history of how NASA’s Cassini mission to Saturn came to be with plenty of photos and quotes from contributors to the spacecraft. Some of the images really surprised me! 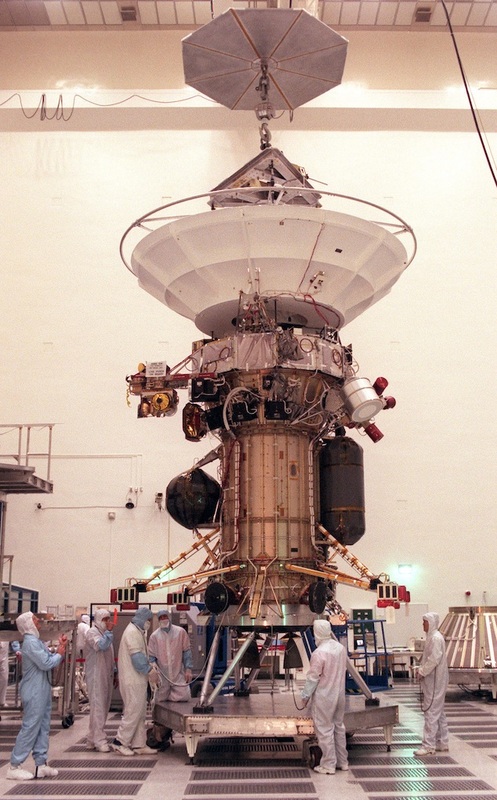 Everyone views a spacecraft differently, but from a perspective of size, Cassini is two big things; a giant fuel tank to go far away from home, and a giant dish to stay in touch with home, and possibly to protect the spacecraft from direct impacts from ring particles during the more daring maneuvers. This made me look up the wet and dry masses of Cassini. From the Wikipedia page for Cassini-Huygens I see a launch mass of 5,712 kg and a dry mass of 2,523 kg. I am not sure if these both include the Huygens lander or not. Question: Which deep-space spacecraft had the largest fuel mass fraction? 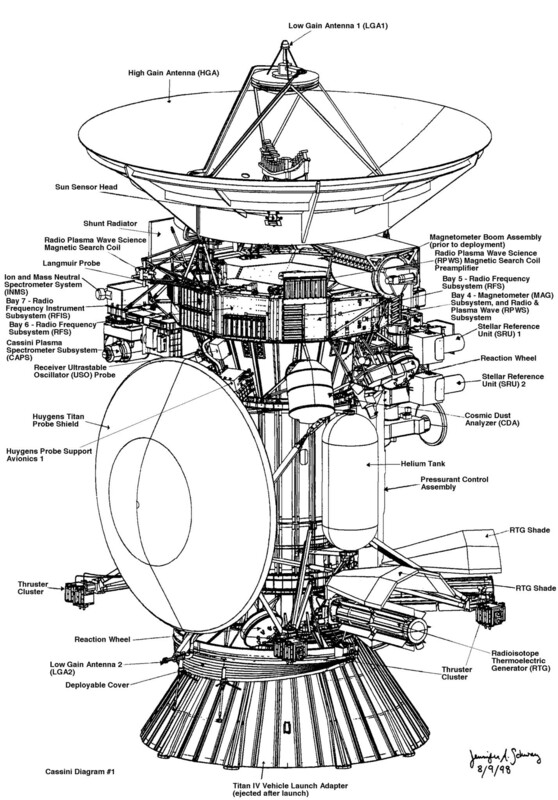 above: "A diagram of the Cassini spacecraft and Huygens probe." From here. NASA Jet Propulsion Laboratory. Open in a new window for full size so you can see the detail and read the descriptions! I'm not up to a complete exhaustive survey of every possible contestant, so I've focused on relatively recent orbiters. I found a few that beat Cassini. The figures I've found so far are occasionally a bit contradictory or squirrelly -- masses are rounded differently here and there, some sources give the design tankage while others give the actual flown amount of propellant, for instance, or include pressurant or other consumables mass in propellant mass -- so any of these may be off by a couple of percent. I had assumed that the winner was going to be a Jupiter or Saturn orbiter, since they have the greatest ∆v requirement for orbital insertion, but multiple Venusian and Martian orbiters seem to beat Cassini. The Venus orbiter Magellan is the leader at a hair under 70% -- 2414 kg of propellant on a total launch mass of 3449 kg. MAVEN tops the list of Mars orbiters at 66%. It will need to expend some fuel to accomplish several "deep dips" into the upper Martian atmosphere, and the intent is for it to move into a high circular orbit to serve as a communications relay once its science mission is complete. Mangalyaan/MOM had to do its own trans-Mars injection burn (! ), so it required a propellant fraction of 63%, with 852 kg propellant on 1337 kg launch mass. ExoMars is 63% sans Schiaparelli or 54% with the lander included. Juno appears to tie with Cassini at 56% (2032 kg propellants, 3625 kg launch mass). Strangely, I can only find the combined propellant + pressurant mass for MESSENGER, putting it something less than 54%. Mars Reconnaissance Orbiter is close behind at 52%. Mars Odyssey is about 46%. Venus Express is about 44%. Galileo is about 41%; like Cassini-Huygens, it's complicated by being an orbiter-plus-probe configuration. Even though Dawn's ion propulsion system achieves 6-10 times the specific impulse of storable bipropellant thrusters, it still has a respectable 35% mass fraction. New Horizons only needed to make small course corrections, no orbit insertions, so only carried 16% of its mass in fuel. Not the answer you're looking for? Browse other questions tagged fuel deep-space cassini mass-fraction or ask your own question. 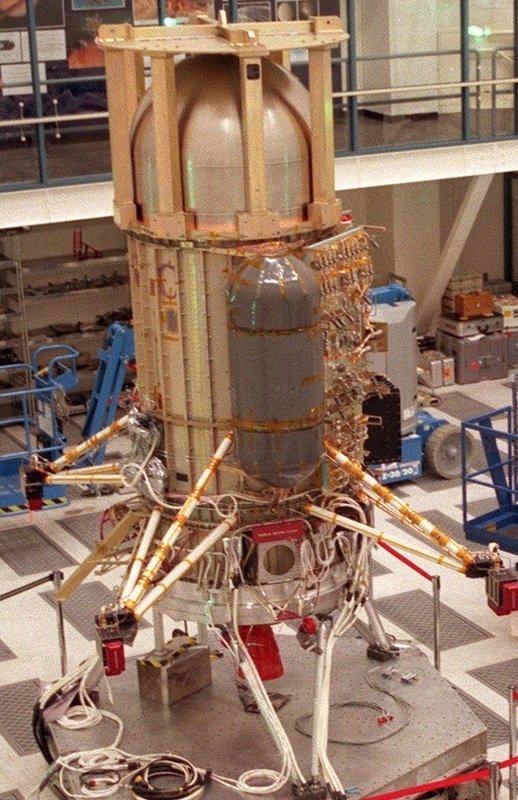 What propulsion will Lucy use for its deep space maneuvers? How is “payload to LEO” estimated for a launcher? Cassini flyby through Enceladus plume - How risky is that for the spacecraft and its instruments? Conceptually, the lower the propellant mass fraction the better, right?